Paper prepared in response to the Federal Housing Finance Agency’s request for input on Fannie Mae and Freddie Mac guaranty fees, July 14, 2014. I was Fannie Mae’s CFO between 1990 and 2004. Among my responsibilities during that time were business planning, capital account management and the company’s credit analytic function, which included loan performance analysis and determining the capitalization and pricing of its single-family credit guaranty business. The financial crisis and its aftermath have put the U.S. mortgage finance system under severe strain. Prior to the crisis, capital markets investors provided the funding for fully half of the $11 trillion in outstanding single-family mortgages—20 percent through holdings of Fannie Mae and Freddie Mac debt issued to purchase mortgages for their portfolios, and 30 percent through holdings of Fannie Mae, Freddie Mac, Ginnie Mae and private-label mortgage-backed securities. Today, Fannie Mae and Freddie Mac’s portfolio businesses are being phased out, the private-label securities market has effectively shut down, and the guaranty fees charged by Fannie Mae and Freddie Mac (including the 10 basis point TCCA fee) are triple what they were prior to the crisis. Given these circumstances, my recommendation is for Fannie Mae and Freddie Mac’s conservator to have the two companies grade and price their credit guaranty business on an economic basis, as if at some point they will be released from conservatorship. Whether they ever are or not, having Fannie Mae and Freddie Mac follow such an approach—with the requirement that they assume a conservative level of capital and target a market return on that capital as if they were allowed to retain it—will have two important benefits: giving borrowers and lenders the best prices for their mortgages consistent with sound economics, and adding valuable market-based information to the mortgage reform debate. Recent reform proposals have had elements that I believe would not work in practice; were Fannie Mae and Freddie Mac to capitalize and price their business on an economically sound basis, it would provide “real world” reference points for reformers to draw on in future proposals. The first step in implementing the guaranty fee setting process I recommend would be for FHFA, as the GSEs’ regulator, to formally determine the stress scenario the companies would be required to protect against. I believe a 25 percent nationwide decline in home prices over a five-year period—equal to what occurred between 2007 and 2011, as measured by the FHFA U.S. home price index—is the right stress standard to adopt, at least initially. Given that this actually happened it would not seem credible to propose anything less severe, but at the same time a 25 percent stress standard would be extremely conservative. The 2007-2011 home price decline was the result of four years of undisciplined and unregulated lending by issuers of private-label securities who did not take credit risk themselves and put very few constraints on the riskiness of the mortgages they financed. Borrowers who never should have had access to credit used tremendous amounts of funding from this source to purchase new homes and bid up the prices of existing homes far beyond sustainable levels. The recent QM loan restrictions—together with the renewed appreciation by regulators and policymakers of the importance of prudential regulation of the mortgage industry—make a repeat of the last “bubble and bust” home price cycle extraordinarily unlikely. A second critical call will be the target return(s) on capital. Target returns could be set by product and risk bucket (with higher targets for higher-risk business, and vice versa), or, based on an expectation of a particular mix of business, there could be a single target return for all products and risks, which implicitly would subsidize returns from higher-risk loans with returns from lower-risk ones. My recommendation is a target return for all business of 12 percent after-tax, with an implicit subsidy of higher-risk business (which otherwise would have a higher return target) by lower-risk business (which otherwise would have a lower return target). As long as the companies are in conservatorship, FHFA should adopt a common return target (or a common set of targets) for both companies. Were Fannie Mae and Freddie Mac at some point to be released from conservatorship, each should be permitted to set its own target(s). Drawing upon the companies’ analyses, FHFA would set specific levels of stress credit loss, by product and risk bucket, that it would require each company to be able to absorb through a combination of initial capital and charged guaranty fee. Individually, the companies then would determine the capital and fee combinations by product and risk group that (a) are just sufficient to survive the stress losses defined by FHFA, and (b) produce the target return on capital in the economic and financial environments the companies deem most likely. Because I believe another 25 percent drop in national housing prices is exceedingly unlikely, I would recommend allowing all of the present value of charged guaranty fees to count in satisfying the stress standard. An alternative would be for FHFA to count only some portion (say 60 percent) of the present value of those fees. Once the GSEs have determined their target guaranty fees by risk bucket, the final step in the fee setting process would be for them to employ a cross-subsidization scheme to produce a grid of charged fees by risk bucket that best meets their multiple objectives of service to market (size and mix of business volumes), profitability (a combination of volume, charged guaranty fee and risk profile), and compliance with the stress standard. Devising this cross-subsidized fee grid arguably will be the greatest challenge the GSEs (and FHFA) face, and it is addressed in responses to Questions 1 and 2 below. Are there factors other than those described in section III – expected losses, unexpected losses, and general and administrative expenses that FHFA and the Enterprises should consider in setting g-fees? What goals should FHFA further in setting g-fees? Following the approach outlined above, “setting g-fees” would be a two-step process. First, the GSEs would determine the set of guaranty fees by product type and risk bucket that simultaneously pass the stress test devised by FHFA and, in the expected case, produce the companies’ target return on capital. (These are the target fees.) Next, the companies would attempt to maximize the volume of business they financed—including from people considered “affordable housing” borrowers—through cross-subsidization: setting charged fees above target fees for lower-risk business, and charged fees below target fees for higher-risk business. Ideally, Fannie Mae and Freddie Mac would be able to acquire large and balanced books of higher- and lower-risk business through such a cross-subsidization process while still hitting their overall target return on capital and passing their risk-based capital stress test. More realistically, however, this may not be achievable. Pricing grids recently published by FHFA indicate that the riskiest 15 percent of loans purchased or guaranteed by the GSEs in the first quarter of 2014 had an average target guaranty fee 77 basis points higher than the average target fee for the 40 percent of their business that could be described as “medium risk.” In contrast, the average target fee on the highest-quality 15 percent of that business was just 31 basis points lower than for medium-risk business. If Fannie Mae and Freddie Mac were allowed to hold capital (other than loss reserves and a minimal amount of retained earnings), they would be required to offset the present value of any shortfall between charged and target guaranty fees by adding an equivalent dollar amount to their capital base, in order to remain in compliance with their regulatory capital standard. FHFA could, and should, use a variation of that discipline to limit the amount of charged guaranty fee shortfalls they permit the GSEs to incur, for as long as they remain in conservatorship. Specifically, FHFA should track the dollar difference between the GSEs’ average charged fees and target fees, and add the present value of any shortfall to the amount of regulatory capital each company assumes in their target guaranty fee calculations. Then, whenever either company’s net income as a percentage of this “adjusted regulatory capital” (capital assumed in determining target guaranty fees, plus the present value of target less charged guaranty fees) falls to a specified minimum—say 9 percent after tax—further reductions in charged fees would be deemed “uneconomic” and not be permitted. This proposed discipline mimics what would occur if Fannie Mae and Freddie Mac again were shareholder owned. The companies always have been able to (and generally have) set charged fees below their target guaranty fees. What limited their willingness to lower fees in the past was the effect this had on their profitability. If released from conservatorship they still would have that disincentive, along with the added constraint of needing to make up all reductions in charged fees relative to target fees with increased capital, in order to pass their regulatory capital stress test. I believe that giving the GSEs the ability to reduce their overall return on regulatory capital in order to broaden their service to borrowers of higher risk loans is superior to simply allowing them to set below-market return targets on high-risk loans. The former gives the companies considerably more flexibility to use cross-subsidization at the lender level, and also avoids the problem of having to define which loan types and combinations of risk features should be eligible for lower return targets, and to what degree. Risk to the Enterprises increases if the proportion of higher-risk loans increases relative to the proportion of lower-risk loans. This change in mix can occur if lower-risk loans are retained on bank balance sheets instead of being sold to the Enterprises, if more higher-risk loans are sold to the Enterprises, or if the overall mix of originated loans changes. What alternatives, other than risk-based pricing, should be considered? What are the pros and cons of each alternative? As long as the GSEs remain in conservatorship and are not allowed to retain earnings, it always will be true that higher-risk loans will pose more risk to the companies than lower-risk loans, even if they are priced at their target guaranty fees. Other than releasing them from conservatorship and requiring them to raise and retain an adequate level of capital, there is nothing that can be done by FHFA (or anyone else) to change this. Today, Fannie Mae and Freddie Mac effectively are nationalized companies: taxpayers receive the benefit of their earnings, and also are exposed to the risks they incur. I believe that having FHFA constrain the GSEs’ guaranty fee pricing by requiring them to meet a stringent stress standard and achieve a minimum 9 percent “return on adjusted regulatory capital” would give taxpayers an extremely favorable balance between return and risk. Should FHFA, Treasury or others in the administration have a different view, however, they could require a higher average level of charged GSE guaranty fees or a reduced amount of cross-subsidization. Even if the GSEs lower their charged guaranty fees to where their minimum return on adjusted regulatory capital prohibits further reductions, it still may be possible that they will not be able to finance a book of high- and low-risk business that meets a reasonable standard for the volume and breadth of their service to market. Should that turn out to be the case, it would indicate that the risk constraints being imposed on the GSEs were more stringent than those applied to other sources of mortgage financing. Both to improve the GSEs’ service to market and to reduce the amount of risk in the mortgage finance system overall, FHFA should at that point revisit the requirement that the GSEs price their business to withstand a 25 percent national decline in home prices, in favor of some lesser (but still severe) degree of stress. Currently, target return on capital and the amount of capital largely determine required g-fees. What factors should FHFA and the Enterprises consider in setting target return on capital and amount of capital required? How should the Enterprises allocate capital across risk buckets? As discussed earlier, I believe FHFA should adopt a target return on capital for Fannie Mae and Freddie Mac (equal for both companies, as long as they remain in conservatorship) that it believes approximates what they would set for themselves if they were returned to shareholder-owned status. The amount of capital the two companies should be required to use as the basis of their pricing would be determined by a combination of stress tolerances for credit losses (default incidence times loss severity) by product and “risk bucket” set by FHFA, and the GSEs’ own estimates of the mix of guaranty fees and capital required to simultaneously pass the credit loss stress test and meet their return on capital objectives. With no current ability to retain earnings, Fannie Mae and Freddie Mac will not actually allocate capital. Notionally, they should allocate it in a manner that would permit FHFA to calculate and monitor the return on adjusted regulatory capital for each company on an ongoing basis. At what g-fee level would private-label securities (PLS) investors find it profitable to enter the market or would depository institutions be willing to use their own balance sheets to hold loans? Are these levels the same? Is it desirable to set g-fees at PLS or depository price levels to shrink the Enterprises’ footprints, even if this causes g-fees to be set higher than required to compensate taxpayers for bearing mortgage credit risk and results in higher costs to borrowers? There is no fixed answer to the private-label securities question. Private-label securities still are suffering from the effects of the total collapse of that market in 2007, as investors have come to realize that during the 2004-2007 bubble years the originators, rating agencies and issuers involved in private-label securitization had financial incentives that were diametrically opposed to their own. Today a lack of trust in the integrity of the private-label securitization process (which has not yet been addressed in mortgage reform) is holding down securitization of even very low-risk mortgage pools. Over time, however, it seems likely that if the GSEs set fees for securitizing high-quality mortgages that are too high relative to their risk (in order to subsidize higher-risk loans), private-label securitization will reemerge as a viable alternative for financing these loans on a large scale. Issuers of private-label securities and commercial banks both will be tempted to finance lower-risk mortgages if the GSEs’ guaranty fees for these loans are too high relative to their credit risk. But there is no reason to think that the fee levels that will attract increased private-label issuance and greater bank portfolio holdings will be the same. The economics of the two financing sources are very different. Moreover, different banks have different tolerances for holding fixed-rate mortgages in portfolio. And because bank capital requirements cover both interest rate and credit risk, depending or how (or whether) individual banks hedge their interest rate risk—and the way they internally allocate capital for that risk—they could put very different values on the incremental returns available from holding whole mortgages in portfolio compared with GSE mortgage-backed securities (whose yields will be lower by the amount of the fees the GSEs charge). The GSEs should not set their guaranty fees to try to drive business to portfolio lenders or the private-label securities market. 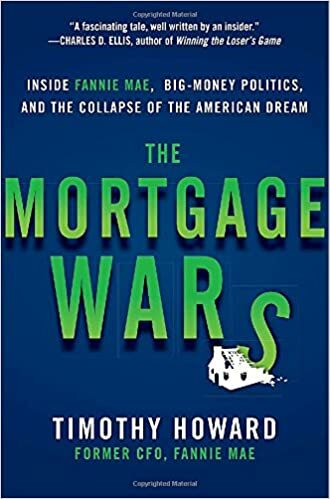 The mortgage finance system has been crippled by the 2008 financial crisis, and needs as much support as the GSEs can give it through business done on a sound economic basis. If the Enterprises continue to raise g-fees, will overall loan originations decrease? That is, will Enterprise loans decline without a commensurate increase in private capital? Originations already do seem to be lower at the GSEs’ current guaranty fee levels, particularly for lower credit score borrowers. If guaranty fees are raised further, it will have a combination of five effects: more retention of fixed-rate loans in portfolio by depository institutions, more origination (and retention) of adjustable-rate loans by depositories, more private-label securitization (particularly of lower-risk loans), more financing of higher-risk loans by the FHA, and fewer originations in general (but particularly of higher-risk loans). The magnitude and mix of each of these effects cannot reliably be predicted, and likely will change over time. I believe there is almost no chance that absent legislation any meaningful amount of private capital will be invested in new types of credit guarantors, irrespective of what the GSEs do with their pricing. There are many reasons for this, one of which is that if the GSEs boost their fees purely for political reasons, anyone investing capital in new credit guaranty companies would be vulnerable to the possibility of the GSEs’ reducing those fees in the future, were such a change to be deemed necessary to sustain mortgage financing volumes at some minimum threshold level. Is it desirable for the Enterprises to charge higher g-fees on low credit score/high LTV loans if it causes these loans to be insured/securitized through FHA/Ginnie Mae rather than through the Enterprises? The GSEs should set their guaranty fees based on (a) the risk gradations, capital requirements and return targets that would apply to them if they were shareholder-owned companies, and (b) a cross-subsidization scheme that best balances their multiple objectives as noted above. If after doing these things the GSEs find themselves losing significant amounts of higher-risk business to the FHA and Ginnie Mae, it may be a sign that they are not doing their cross-subsidization optimally, but it also may be that they are subject to more stringent regulatory risk constraints than the FHA. Is it desirable for the Enterprises to charge higher g-fees on high credit score/low LTV loans if it causes these loans to be (a) insured/securitized through PLS or (b) held on depository balance sheets, rather than guaranteed by the Enterprises? No. The key to successful cross-subsidization by the GSEs will be to raise charged fees above target fees for high credit score/low LTV loans by enough to generate meaningful subsidies for higher-risk business, but not by so much that lower-risk business is lost to alternative financing sources. What approaches or alternatives should FHFA consider in balancing increased use of risk-based pricing with the HERA mission requirements of (1) liquid national housing markets and (2) acceptability of lower returns on loans made for low- and moderate- income housing? I believe that having FHFA allow the GSEs to (a) cross-subsidize their business and (b) lower their average charged fees below their target fees to the point that their returns on adjusted regulatory capital reach a specified minimum will give the GSEs sufficient management flexibility to meet the HERA requirement to promote a liquid national housing market. Should that not be the case, however, FHFA should seriously consider reducing the level of stress credit losses it requires the GSEs to be able to absorb. FHFA certainly could set lower return targets on certain types or groups of loans that serve low- to moderate-income borrowers, but in my view this would not be as efficient or effective as allowing the GSEs flexibility in cross-subsidization and permitting average charged guaranty fees to be below target fees. Also, a single return target for all of the GSEs’ business implicitly supports low- and moderate-income lending, since loans taken out by low- and moderate-income borrowers generally carry higher credit risks, and thus on their own would justify higher-than average return targets. Are the ranges of credit score and LTV cells in the proposed credit score/LTV grids used to set upfront delivery-fees and loan level pricing adjustments appropriate? Should any of the ranges be broader or narrower and, if so, why? The ranges seem reasonable to me. Should risk-based pricing be uniform across the Enterprises or should each Enterprise manage its own pricing? As long as there are two GSEs, each should be allowed to manage its own credit pricing. In practice, the two companies’ risk-based (or target) guaranty fees should be similar, because while each may have different levels of administrative expense or assumed expected losses, they would be required to adhere to the same stress standards by product and risk bucket. Actual charged fees could diverge if the companies implement different cross-subsidization schemes or, if released from conservatorship, if they have different return targets or different minimum return limits. It should be possible to minimize the principal negative of independent pricing—the potential for one or both companies to use uneconomic fee discounts in an attempt to increase market share—through a transparent fee-setting process, disciplined oversight by FHFA, and, if the GSEs are released from conservatorship, the requirement that they offset any shortfalls in charged versus target guaranty fees with additional capital. Taking into consideration that FHFA has previously received input on state-level pricing adjustments, do the g-fee changes proposed in December 2013 have any additional implications that should be considered in deciding whether to price for the length of state foreclosure timelines, unable to market periods or eviction timelines? Are there interactions with other pricing components under consideration that FHFA should consider in making decisions on the state-level adjustments? I have no special insights into this issue. Are there interactions with the Consumer Financial Protection Bureau’s Qualified Mortgage definition that FHFA should consider in determining g-fee changes? I do not believe there are. While the CFPB’s Qualified Mortgage definitions will affect the characteristics of the loans the GSEs are likely to be shown by their lenders, the companies still should price them based on their own risk assessments, analytics, return targets and business and service to market objectives.